This year the National Trust of England, Wales and Northern Ireland celebrates 50 years of Operation Neptune. Set up in 1965 as a reaction to the increasing development along the coastline, the launch was enthusiastically taken up and captured the imagination of people in Britain who were keen to save their beautiful heritage. Money was quickly collected and the government chipped in with what was a considerable sum in those days. But the main driver was countless citizens who chipped in with their own money, or worked as volunteers. The objective was to purchase vast stretches of England’s 3000 mile coastline – singling out the most beautiful and ecologically important stretches. One can only think how enlightened those pioneers of this project were. Today over 750 miles of coastline has been purchased by, or gifted to the National Trust. Thousands of acres of land are protected for this and future generations. Countless thousands enjoy beautiful unspoiled countryside, who can walk along the cliffs, and beaches or among the woodlands. A huge tourist industry has also given economic life to the project, strangely enough, without the need for the construction of huge hotels. Wild flowers, forests, cliffs, beaches, woodlands, meadows and wild fauna all have their place in these parks. Wild deer, foxes, otters and in the sea, sealsand basking sharks safe from human encroachment in marine reserves, live in their natural environment. The contrast with Malta could not be more different. Here countryside seems to have no value for our political leaders, save as cheap land ripe for development. When Operation Neptune was being set up (indeed when Din l-Art Helwa was set up also in 1965), Malta still had large tracts of the coast in a pristine state. There was no Maghtab, no Bugibba, Xemxija hill was undeveloped, and no Mistra village (Fuel storage tanks were there though). 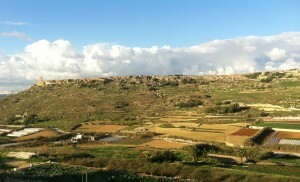 Mellieha was largely still in its natural state. No huge terminal at Cirkewwa, or large hotels at Marfa. No quarries and Reverse Osmosis plants at Ghar Lapsi, No power stations, No creeping expansion in the villages and towns of the south to become one large mass of buildings (so poorly designed and so ugly alas), no now derelict hotels in front of the beautiful fort at San Tumas (touted as critical to the tourism industry at the time). Of course development was needed but so much ? Did it need to be so poorly designed ? Today so little is left, but astonishingly we still place little value on our countryside, or on our coastline. We are still led to believe that we need new developments which are critical to our development; White Rocks, Mistra, Smart City, huge hotels at Mellieha, and now the new private university at Zonqor. It is the developers who have the ear of politicians, whilst those who plead for conservation, for the protection of public land to be enjoyed by this and future generations, are cast aside. The last tract of land on the North east side, at Zonqor, is now up for grabs. We have already heard that we need it for hotels, and once this was shouted down we hear of a university. This is being touted as a sacred cow; education; where as in fact it is just another business venture which of course may ultimately morph into another land grap by speculators. The economic case for conservation is clearly not understood. The argument that tourists would come to see the beautiful countryside we have, the cliffs, beaches valleys and xaghri has not been understood. Nor the argument that we too should be able to enjoy our heritage, as well as future generations. Where can one walk alongside the sea that is still in the countryside? From Zabbar to Cirkewwa is now almost totally developed and this last pocket is now up for grabs. Yet the economic imperative of development in virgin land has failed. It has been used for Lidl supermarkets, quarries, schools, countless hotels some of which lie derelict (Selmun and Jerma spring to mind). How many times have we heard that it is critical for development and this is the only site? The main reason is because it is cheaper to develop ODZ than to find a site and develop within the development boundaries. On the other hand, the moral, spiritual, and even economic argument for conservation has been studiously ignored especially by our leaders, and with those specifically tasked to protect our heritage – Mepa. Their unseeming haste to confirm the site as suitable just beggars belief. It is way past time that they come on board. Times are changing and we are finally realising that what is left is not for sale – especially not to private developers. This land is ours, our heritage, our patrimony to enjoy and pass on to future generations. My appeal to the political masters is to listen to us. Prime Minister – there is a precedent. A golf course was once proposed in what is now Majjistral park. After the outcry the Government of the day did listen and stop the project. We look to you now to listen, and ensure that this valuable heritage is properly protected. This entry was posted in Blogs by Martin Galea. Bookmark the permalink.